Thomas Mustillo is a comparative political scientist who earned a PhD from the University of North Carolina at Chapel Hill and a BA in government and economics from Notre Dame. 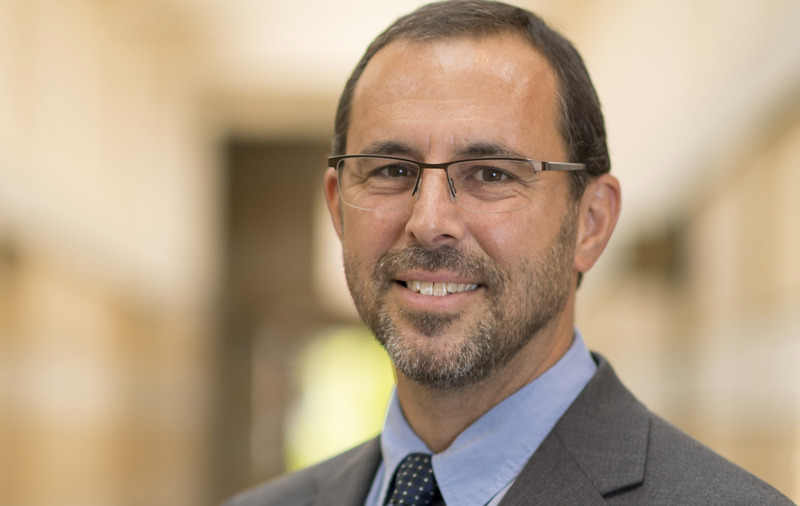 In addition to his role in the Keough School, Mustillo is the program coordinator of the university-wide data science minor, a concurrent faculty member in the Department of Political Science, and a faculty fellow of the Kellogg Institute for International Studies. He also is an editor of the European Journal of Political Research’s Political Data Yearbook, and he sits on the scientific advisory board of the Constituency-Level Elections Archive at the University of Michigan. Mustillo’s current research examines political representation, parties and party systems, and democracy. He is particularly interested in understanding highly unstable electoral contexts. He has employed diverse research methods in his work, including agent-based models for the study of party competition, longitudinal models of electoral instability, elite interviews of party founders to understand the conditions that lead to the launch of new parties, and archival research in Ecuador to secure vulnerable records about party competition in the late 20th century. He has traveled extensively in Ecuador, Venezuela, Haiti, and Costa Rica. His work has been published in the Journal of Politics, Political Analysis, Comparative Political Studies, Democratization, Electoral Studies, and other outlets across several fields. Mustillo’s teaching spans substantive topics related to democracy, party politics, and Latin American politics, as well as courses on quantitative research methods, research design, complexity science, and data science. Before coming to Notre Dame in 2018, he was an associate professor of political science at Purdue University. Mustillo, Thomas. 2018. “Floating Voters and the Rise of New Left Parties: Electoral Volatility During Party System Transformation.” Latin American Politics and Society, 1-26. Mustillo, Thomas. 2017. “Party Nationalization Following Democratization: Modeling Change in Turbulent Times.” Democratization. 24 (6): 929-950. *Winner of the Frank Cass Award for Best Article published in Democratization in 2017.